1. In a mixing bowl, whisk mascarpone cheese with sugar. Add in sakura paste & liquor. Mix until combined. 2. In another bowl, whisk the cream until soft peak. Using a spatula, fold in the whipped cream to the mascarpone mixture. 3. 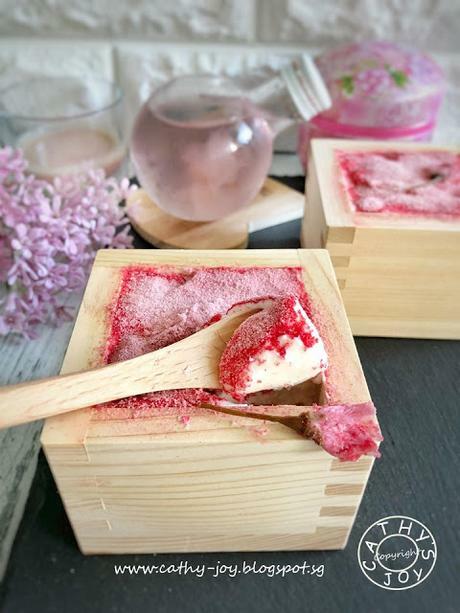 Trim & dip the sponge fingers in Sakura latte & line the base of Masu. Spoon some fillings over & spread evenly. Repeat with another layer of sponge fingers & fillings. Smooth the top & fridge overnight. 4. 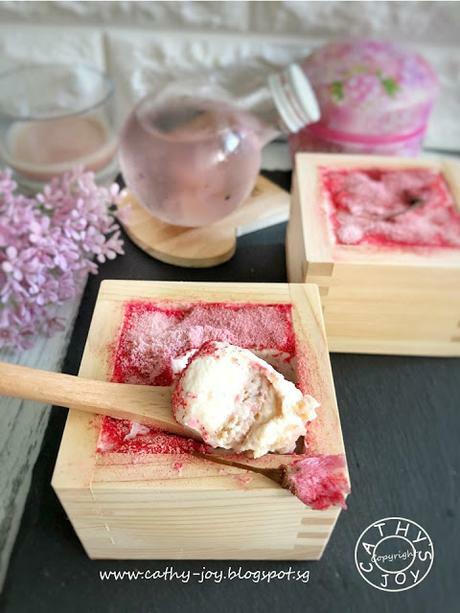 Dust with Sakura powder & serve.